Getting married is often regarded as one of the biggest days of a person’s life. Right from childhood, the families of the bride and groom dream of the day of watching their child walk down the aisle. As the kids grow up, they start picturing themselves taking vows at the altar. The wedding thus, is a day that holds great importance in everyone’s lives. Months of preparations go into making the D Day one to cherish for life. One of the big wedding trends that is catching up now, however, is the sudden craze for tying the knot in exotic locations like Ibiza, an island in the Mediterranean Sea off the east coast of Spain that brings with it the beauty of coastal beaches along with serenading sunsets each day. Getting married in Ibiza is thus one dream that many look forward to all their lives. Owing to its great location and proximity to Spain, many even convert a wedding party in Ibiza into a full-fledged tour of the region. The easy-going culture on the island also allows for the bride and groom to let down their hair and enjoy a moment of hen and stag night. An important part of organizing a wedding abroad is getting everything just right. Be it a luxury wedding venue or details on the Ibiza wedding ceremony, it is imperative that one gets everything marked as a ‘T’. Thus for the same, it becomes important to hire a professional wedding planner who has the capacity to take all the wedding stress off of your shoulders and help you live a day to remember for the rest of your life. The planner you hire should be able to help you with minute details about the wedding like the customs of Ibiza wedding ceremonies and the legal requirements of the region to be able to tie the knot on the island. 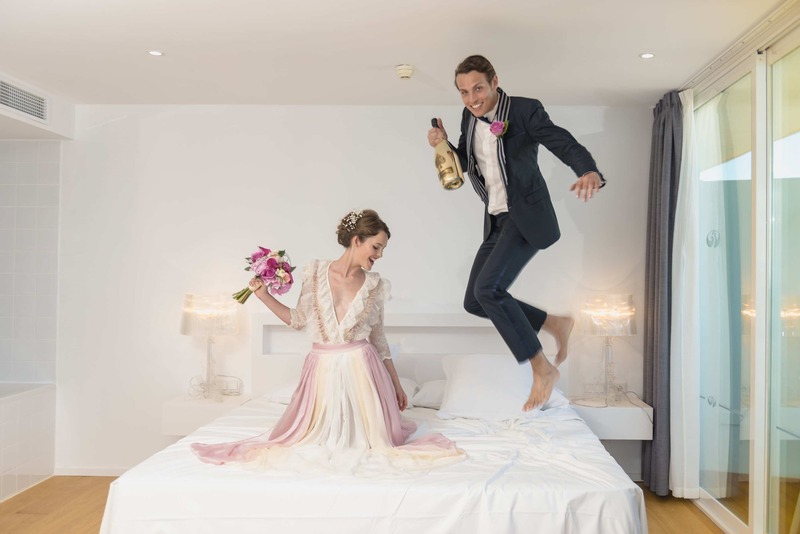 If you have narrowed down on Ibiza as the dream location for your big day, then all you have to do is pick up the phone and get in touch with us at ibizaforwedding.com. Our numerous packages have since long catered to a wide base of customers from across the globe. Be it a wedding party or an entire week of events, consider it done! Want ‘Ibiza For Wedding’? Go ibizaforwedding.com !